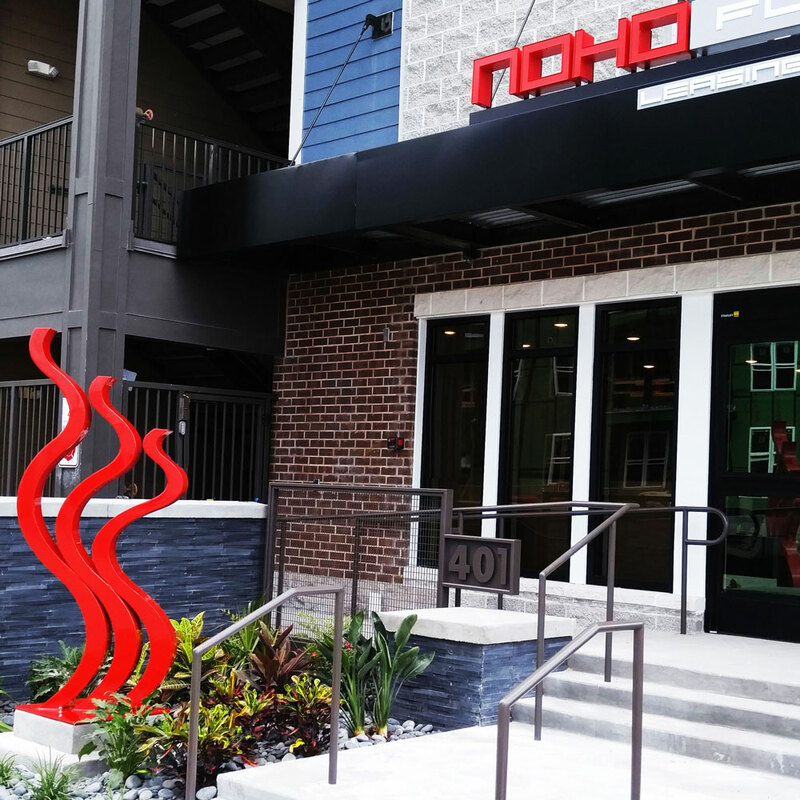 Noho is a large red sculpture designed to make the mind of the viewer wonder. 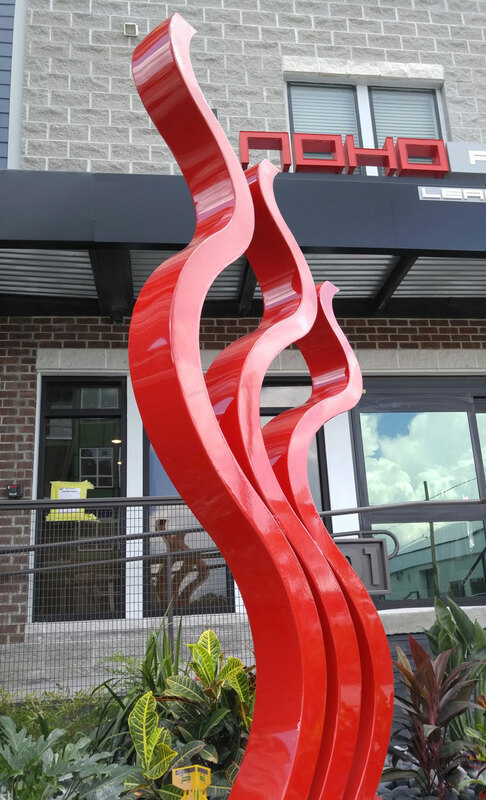 This large red sculpture designed to visually flow from top to bottom including a powder coated gloss finish for maximum outdoor display It also appears to take different forms from every angle. 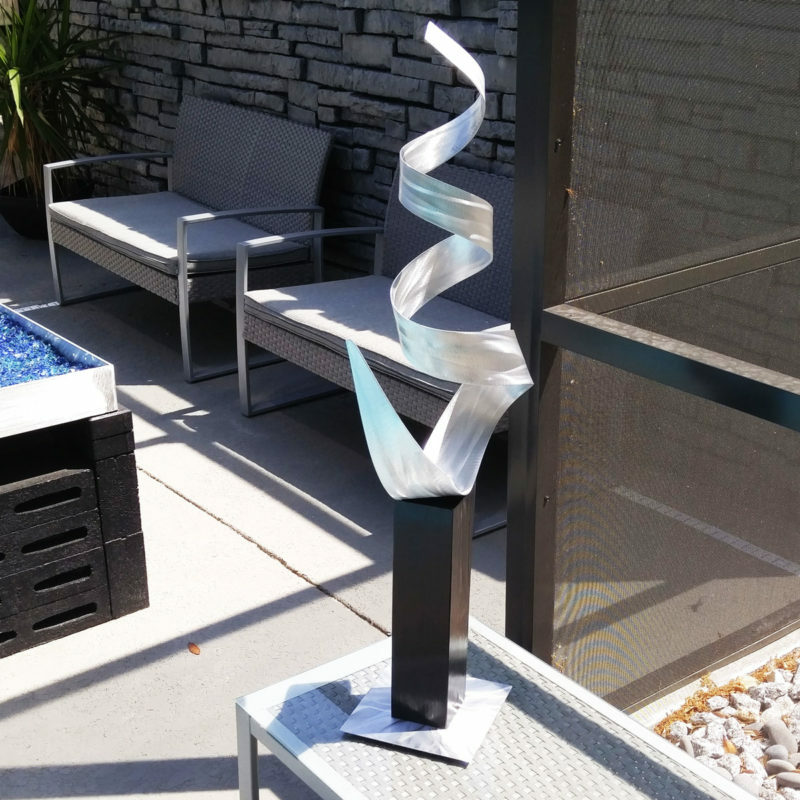 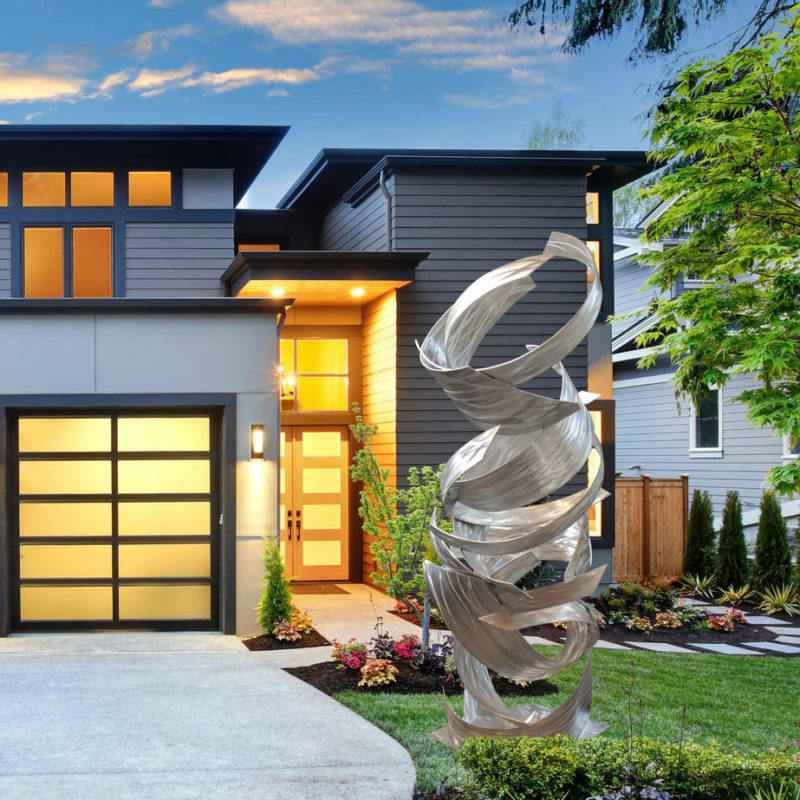 This abstract sculpture has laser cut metal pieces that are carefully arranged and fabricated. 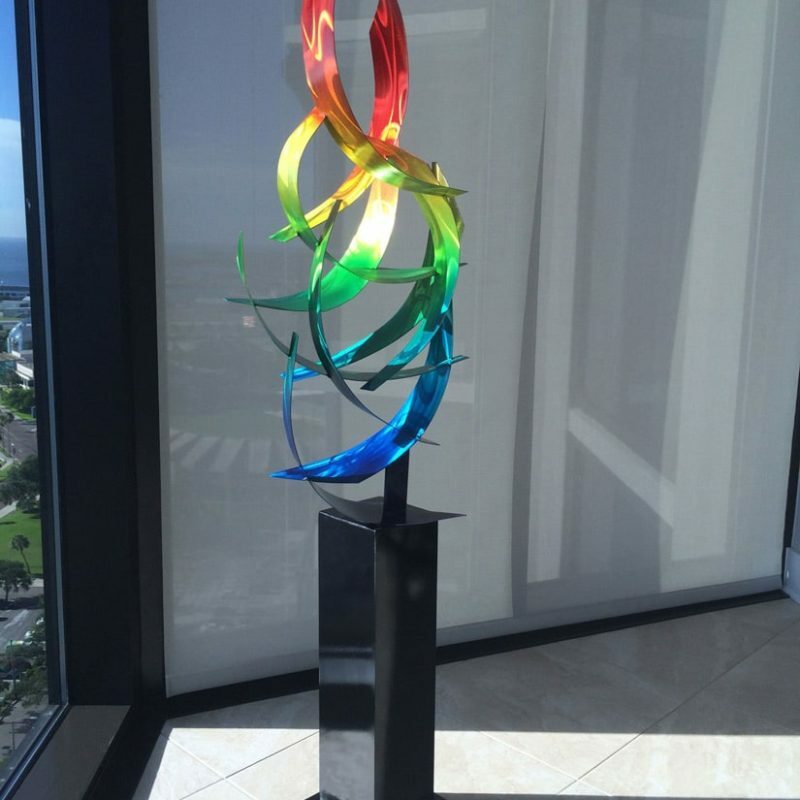 It resembles flames or steam rising from the ground surface. 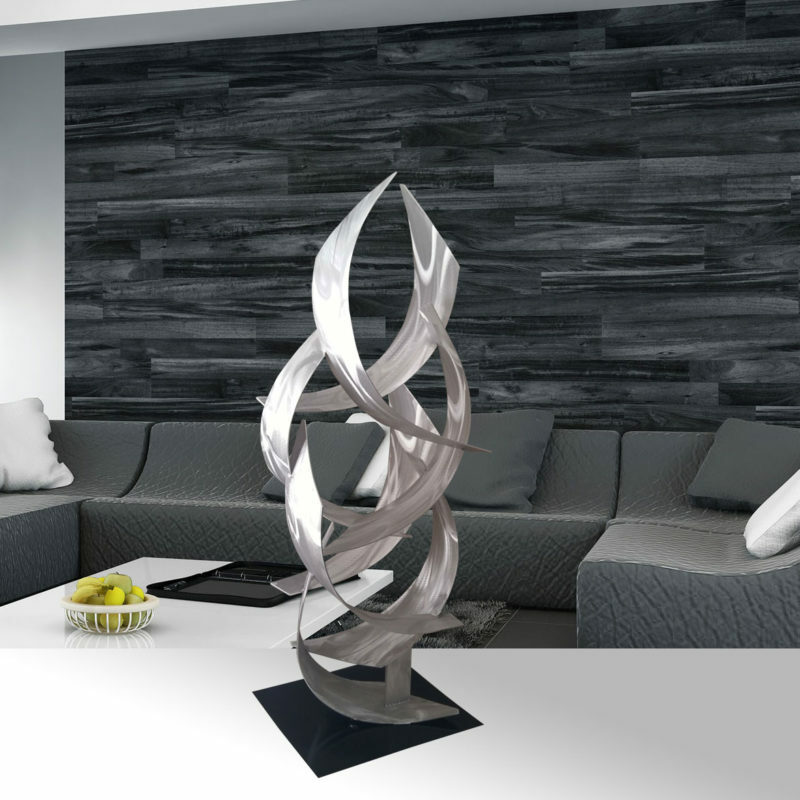 A simplistic more contemporary design for the modern minimalist environment.